The West Virginia vs Virginia Tech showdown in Landover, Maryland, which I’ve previewed over at SB Nation. 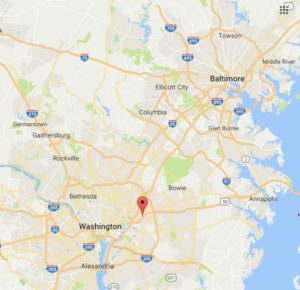 I had to look up where that town was using Google Maps, which revealed to me that it’s in between Washington D.C. and Baltimore but really within the D.C. metroplex. This is a sneakily important area in recruiting for teams in the Northeast and West Virginia is basically an extension of southern Pennsylvania in many ways. The combined metroplexes of these two cities contain about 9.6 million people and 2.4 million of those people are African-American, making it a hotbed for talented athletes. My projected roster for the 2017 Virginia Tech Hokies includes two players from Maryland, receivers Cam Phillips and C.J. Carroll. The Mountaineers also have two Marylanders that play prominent roles in QB-turned-WR David Sills and back-up Spur safety Marvin Goss. Goss is a good player and a redshirt senior that will probably play regularly in the Mountaineers dime packages that replace a linebacker with 6-3, 221 pound starting spur safety, Kyzir White. The game should be fun and a solid test of whether or not West Virginia has another run at the Big 12 title in them. The Hokies’ preferred robber coverages are kind of like Michigan State’s press-quarters schemes that crashed their overhangs at the sight of a running play in that they’re designed to squash normal college offenses. The Holgo-Raid with a strong-armed QB like Will Grier at the helm isn’t a normal college offense, it’s more like a Veer and Shoot system. However, the Hokies have a really strong secondary, a really strong front, and they have 2-read in their package. That could lead to a game where they are daring Holgorsen to beat them running the ball from four-receiver sets into their talented front. If West Virginia runs over them, we should all take that as a strong sign that they are going to be murder on offense this year. If West Virginia still throws the ball around and just absolutely torches the Hokie secondary that might be a sign that they’ll be deadly as well, pending exactly what sorts of coverages they’re getting. We probably shouldn’t take too much from the performance of the West Virginia defense unless they get roasted. Virginia Tech is probably a year away from RS Freshman QB Josh Jackson being ready to kill opponents in Fuente’s offense and going up against the shifting, swarming Mountaineer defense in his first start is a tough opening gig. Vegas has this as VTech -3 right now, despite their superior recruiting numbers, and I think the Mountaineers will win, how they do it will be very revealing for the rest of the Big 12. Will Grier cleared by the NCAA today! Fun read Ian, I’m excited. Not sure how I’m going to wait all the way until Sunday of Labor Day weekend. As I noted in the SBNation comments, a win here would suggest that Holgo has the program at a point where it is truly reloading. I’ve always hoped for an end game that looks a lot like what Gundy has built at OK St. without the T. Boone Pickens noise. I think WVU could be on the cusp of that. I would love it if Holgo is here for another ten years. Tech’s D definitely presents some different challenges, including multiple defenders with NFL futures (not all that common in the Big 12 these days) but I’m encouraged by the presence of Spatival as OC, who has worked in the Big 12, SEC, Pac-12 before coming back to WVU. He is a guy who knows how to attack a wide variety of schemes and players and should be able to draw up some things to address the characteristics of the Hokie D.
It would also be a really nice win for the Big 12, which could definitely use all the OOC wins it could get. As you note in the article, Tech should still be able to do some damage in the ACC so this could be a big one for the conference. WVU is going to benefit from the fact that their own defense throws looks at them in practice somewhat similar to what Virginia Tech does coverage wise. Totally, Virginia Tech might make some noise in the ACC even as a mid-level team because of their placement and this would be a statement win for the league as a whole besides for the Mountaineers. Also, notable former Mountaineers Wendell Smallwood and Daniel Shorts come from that part of Maryland, so yeah, it’s a pretty important region for WVU recruiting.